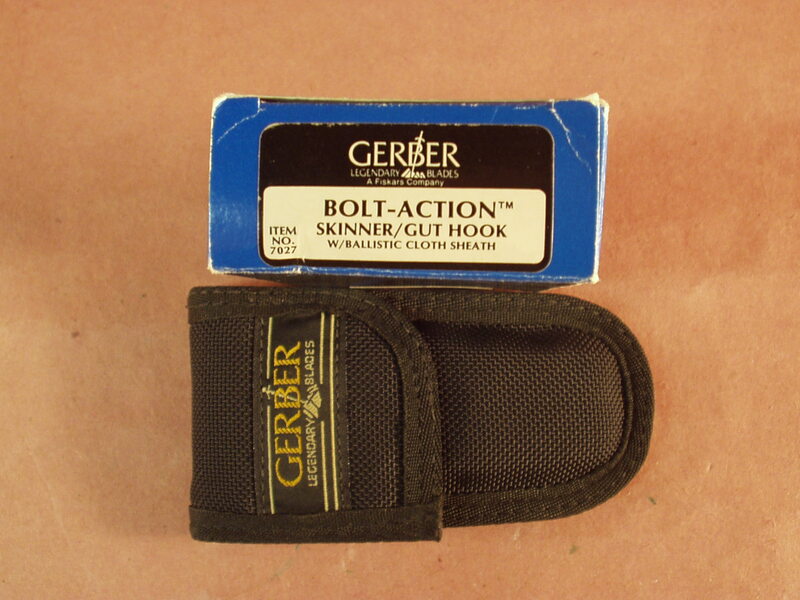 We have just acquired some Gerber Bolt Action Skinner / Gut Hook knife #7027. 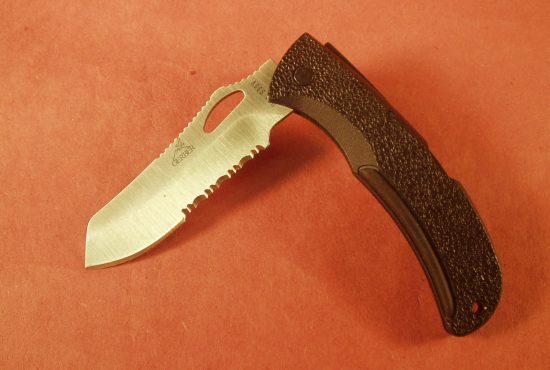 This knife is new never used, carried or sharpened and remains in MINT condition with correct pouch sheath and box. 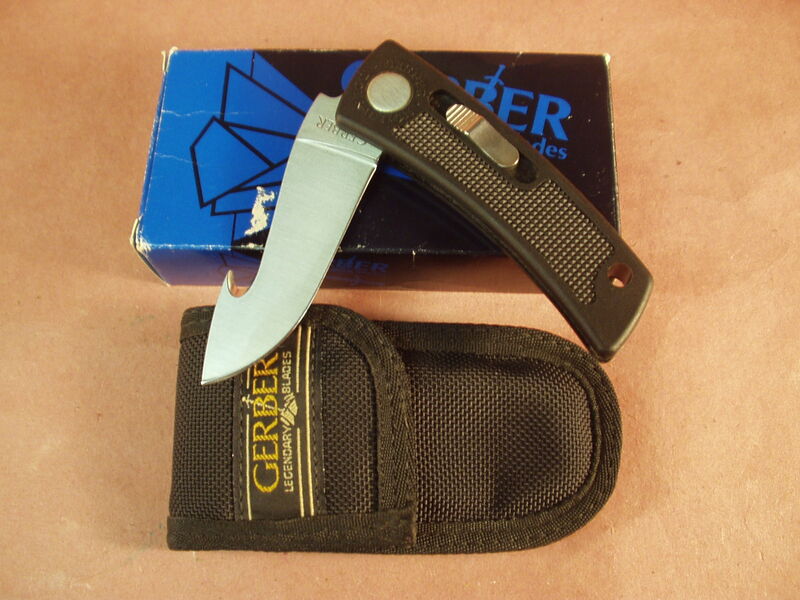 These knives were made by Gerber back in 1984 and discontinued in the early to mid 1990’s. 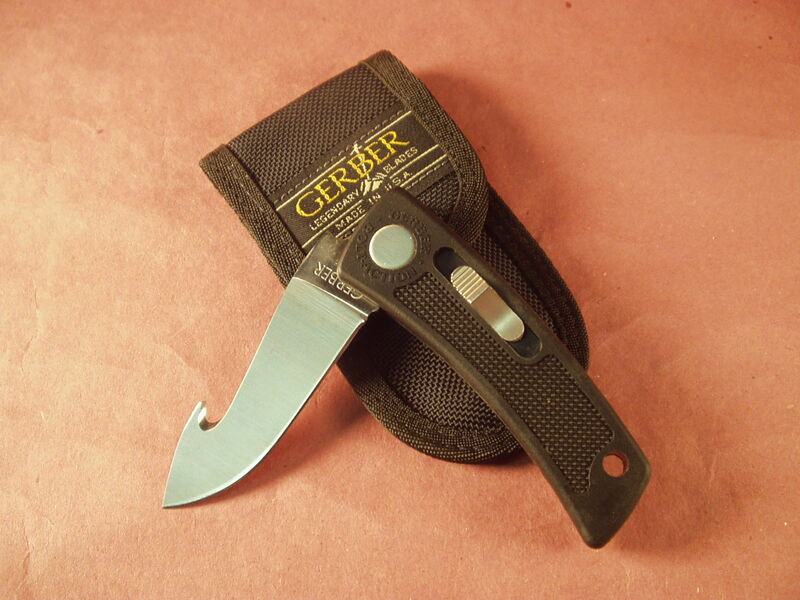 Great overall lock-back folding knife with heavy Corduar pouch sheath. 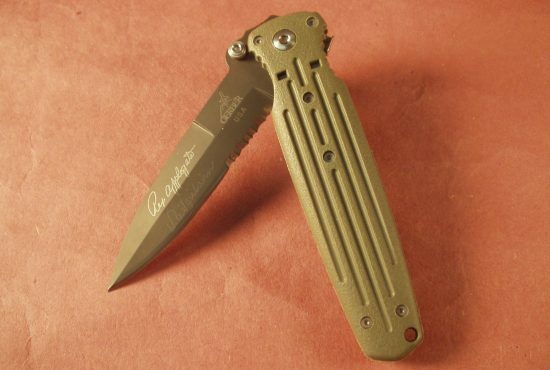 There knives feature a lock-back blade locking mechanism with a push release. 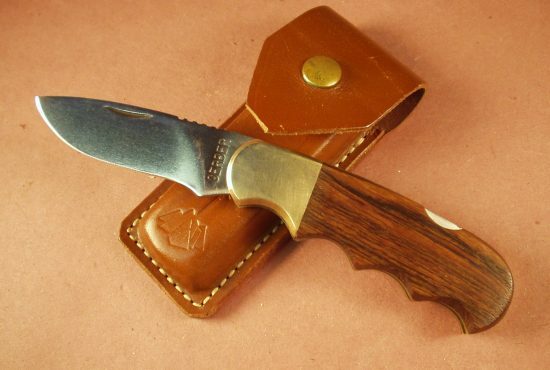 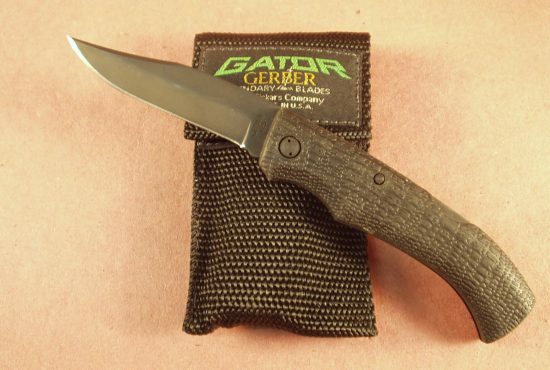 It is becoming very hard to find these knives in this condition and they have been a sought after knife by many Gerber collectors and sportsman that intend on putting these finely made knives back in service. 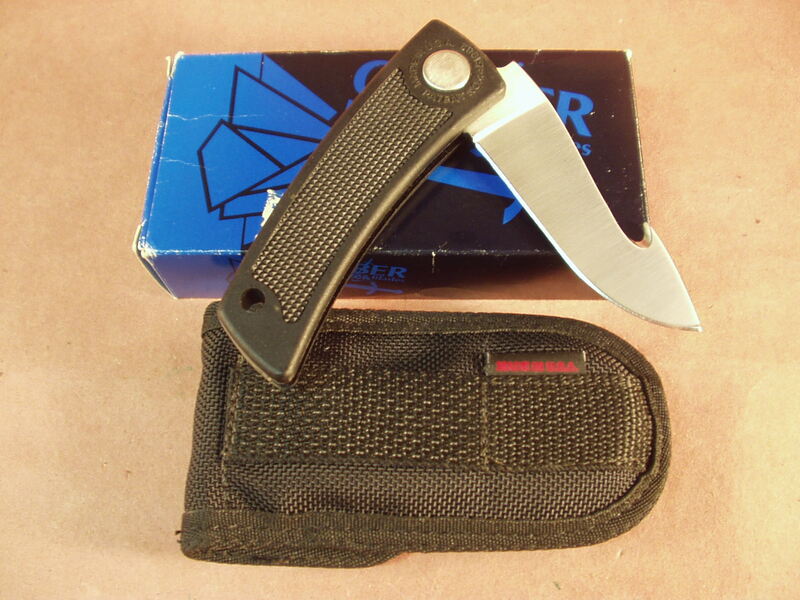 This knife will come to you like it left the factory, the box does show some storage wear, but the knife and sheath are in perfect unused condition.